All of the forms that you need to fill out and bring with you for your appointment are included in the folders below. Please choose the folder according to the area you are having screened. 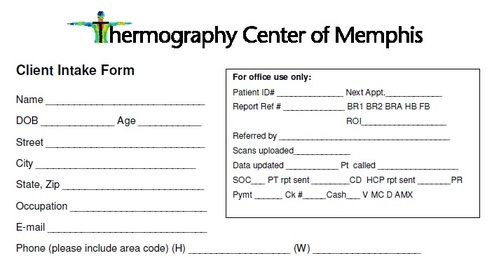 Choose the region of interest forms (ROI) if your screening will be on areas other than breast or full body. For ROI, complete either the upper or lower body form from the packet along with all the other forms. Included in all packets will be a preparation sheet. It is very important to follow these guidelines. Please call us if you have any questions.